In an article published in the company’s internal magazine on the occasion of his retirement in 2008, Ryan remembered the poignancy of choosing the Irish word. “At that time we were bringing several companies together through organic growth coupled with strategic acquisition into one entity. Therefore, the name Aon was a perfect fit.” When Patrick retired in 2008, Aon was one of the largest insurance brokerage firms in the world, with over 500 offices in 120 countries, including Ireland. Ryan was born the son of an Irish-American Ford dealer in a Milwaukee suburb and made Chicago his adopted home after graduating from Northwestern University in 1959. He was chairman of the board of trustees of Northwestern University for 14 years and in 2009 received an honorary Doctorate from the university. In Chicago, Patrick has been recognized for his numerous philanthropic contributions to the city of Chicago, including purchasing 20 percent of the Chicago Bears when they were in need of financial support, and backing the Modern Wing of the Chicago Art Institute, which opened in 2009. 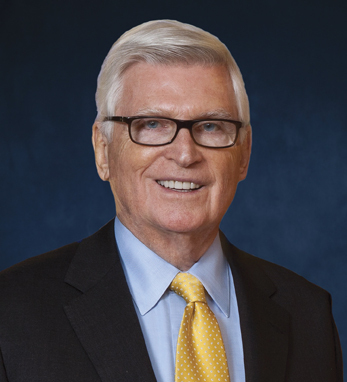 In 1989 he and his wife Shirley (née Walsh) co-founded the Pathways Center for Children and the Pathways Awareness Foundation, which pro- motes early detection and treatment for movement disorders such as cerebral palsy. Ryan was also the chairman and CEO of the Chicago 2016 Olympic bid committee and has been awarded the Order of Lincoln Medallion, the highest award granted by the state of Illinois. He and his wife Shirley have three adult children.